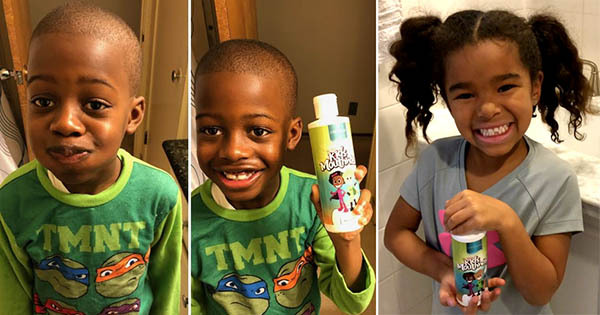 All-natural, fluoride-free kid’s mouthwash and tooth powder are the newest products offered by African American entrepreneur Philip Garner's company, Garner's Garden. Parents absolutely love the product line for their children because all of the ingredients are all-natural elements including organic neem, tea tree oil, and pepperment oil. The children themselves are also really excited to use the oral care products because the packaging resembles super heroes that children can not only relate to, but also look up to as role models. This makes the task of enticing children to brush their teeth more of an event, rather than a laborious task that the average child probably does not like doing in the first place. Philip says that dental issues are very common in the African-American community, especially among children. In fact, according to the National Institute of Dental and Craniofacial Research, a component of National Institutes of Health, 42% of children ages 2 to 11 have had untreated decay and/ or fillings in their primary teeth. But Black and Hispanic children and lower income families have more tooth decay than their white counterparts. Philip comments, "These statistics are alarming, but with our new products for children, these type of oral health issues can be prevented and in some cases, reversed." Philip says that the reason why so many children and pre-teens have a high rate of tooth decay is because the root cause of the problem is never addressed. He realized that he needed to create a solution that assists in the healing of micro-abrasions that children get on their gums, and repels plaque throughout the entire day via the power of oxygen. And that's exactly what his products do. Philip comments, "Oxygen is the key active ingredient that promotes healthy oral care. And bacteria cannot grow and multiply in the presence of oxygen! This is the main factor that separates my oral care from virtually all, mainstream oral care products."